Officially launched on the floors at the 2017 Singapore Motor Show is the all-new, fifth-generation Subaru Impreza. It sits on a completely new platform called Subaru Global Platform (generic, yes, we know) and is doing exceedingly well in Japan. The 2016 Japan Car of the Year dons a more evolutionary approach to styling, but Subaru says over 80 percent of the car is new. Exterior and interior don’t just look good, but feel better thanks to more liberal use of high quality materials. All these are the outcome of Subaru’s new DYNAMIC x SOLID design philosophy, which promises to improve a Subaru car’s holistic appeal. Depending on where you live, the Impreza can be had with either a 1.6-litre or 2.0-litre engine, and they’re both naturally aspirated four-cylinder boxer engines. The smaller unit pumps 112 hp at 6,200 rpm and 150 Nm of torque, and is port injected. The 2.0-litre flat-four gets direct injection and produces 154 hp at 6,000 rpm and 196 Nm of torque peaking at 4,000 rpm. Both engines get paired to Subaru’s intelligent Lineartronic CVT (torque converter type). The front axle is managed by a MacPherson strut setup, whereas the rear benefits from the wonders of double wishbones. Wheel sizes start from 16-inch for the 1.6i, which goes up one size for the 1.6i-S and 2.0i-S. Disc brakes are found on all four corners, and they are all ventilated. Some noteworthy equipment include auto levelling and cornering LED headlamps, front and rear fog lamps, shark fin antenna and powered sunroof. 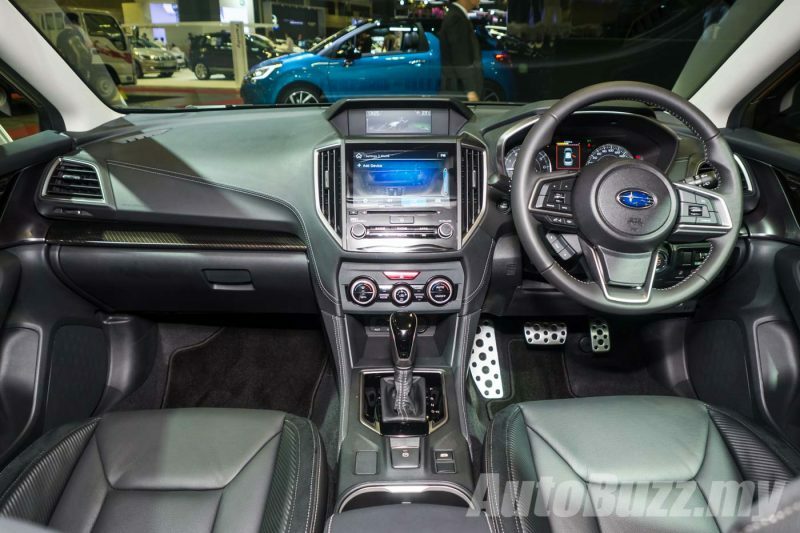 Inside, there’s an 8-inch touchscreen infotainment system, dual zone climate control, aluminium pedals, electronic parking brake and up to seven airbags including a driver’s knee airbag. Among the suite of safety systems available as standard are Brake Assist, Brake Override, Engine Immobiliser, Safety Pedal System, Vehicle Dynamics Control System and a wholly-reinforced frame. Subaru is taking great pride with their new Global Platform, because it will underpin a range of their future cars, including hybrids, plug-in hybrids, fuel cell tech and even pure electric vehicles. According to the company, the new platform will offer better traction, more confident control and much improved low and high speed stability. Rigidity is also significant upped thanks to use of high tensile strength steel, and it now sits 5mm closer to the ground than any of their existing cars. Despite all that handling mojo, comfort is also apparently improved. Body roll is largely eliminated by mounting the rear stabiliser directly to the body. 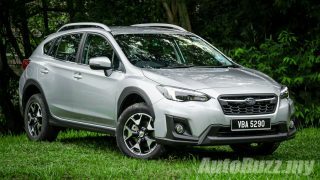 Now, Subaru Malaysia has confirmed that the Impreza will not make its way to Malaysia anytime soon, primarily due to cost. A rough estimate brought the ballpark figure close to RM130k (because CBU and poor forex), and that’s just for the base 1.6i variant! The flip side is, the next generation XV crossover will also sit atop this new platform, so expect it to arrive really, really soon. 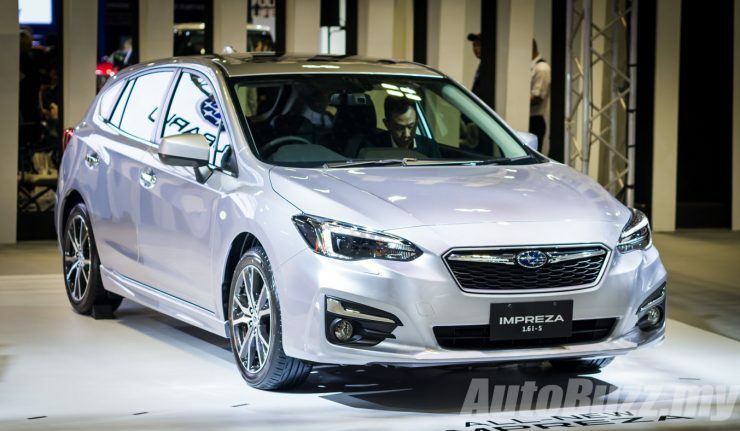 Update: Executive Director of Tan Chong International Ltd, Glenn Tan said there is a very small possibility that the Subaru Impreza 2.0i-S will be introduced to Malaysia, but this very much depends on market demand. Also, it’s likelier for us to get the 5-door hatch instead of the sedan, due to broad similarities with the XV in the way they are assembled. Porsche Cayman GT4 Clubsport lands in Malaysia, a baby 911 GT3 Cup! A straightforward, fun-loving guy who appreciates the superficiality of a car's appeal, but his admiration for anything on four wheels gives him no reason to neglect the makings of a car. He still believes that fun comes with three pedals and a stick. Наш интересный сайт , он описывает в статьях про profshina.kiev.ua.